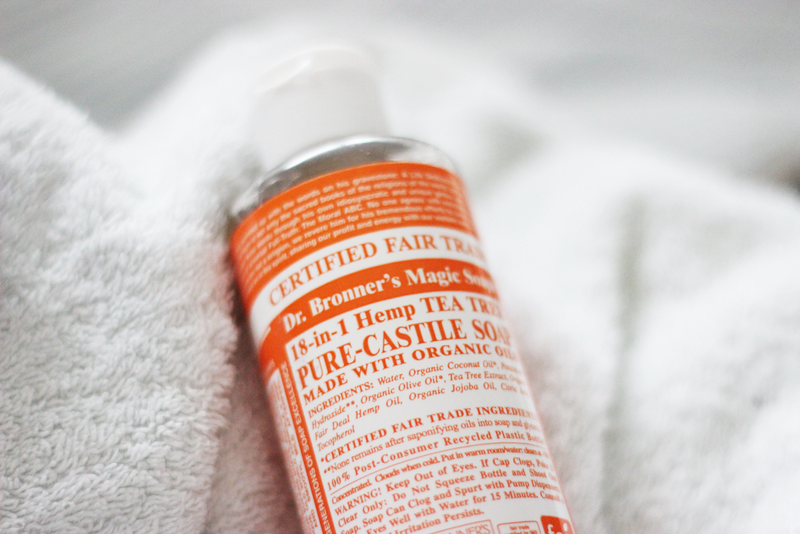 If you've never heard of Dr Bronner's before.. where have you been?! This lovely, organic, fair trade soap comes in many forms, and many different fragrances, so you're sure to find one you like. Free from SLSs, artificial fragrances and other nasties, they are sure to become your skin's new best friend. 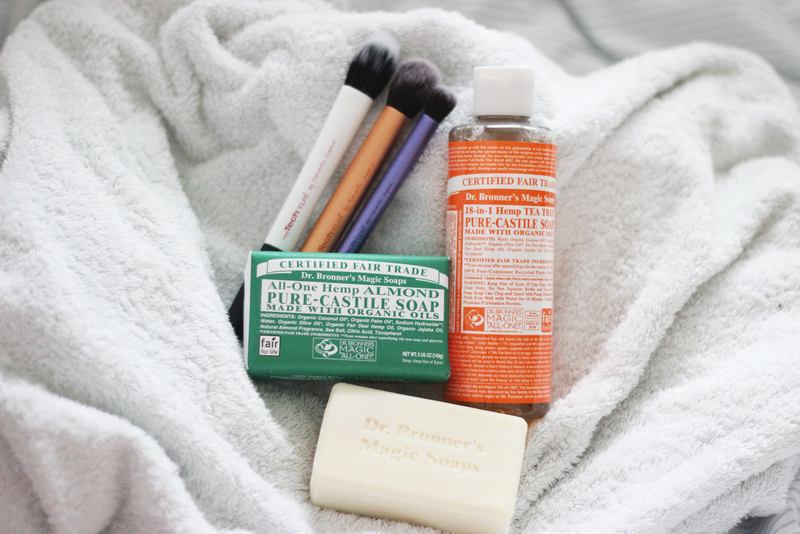 My love affair with Dr Bronner's began when I read a post by Ashley from Ashley's Green Life. Inspired by her natural ways of living, I ventured to find this magic soap (literally), and ordered myself a huge bottle of the Baby-Mild Unscented Castile Liquid. Over the past year or so, I've been stocking up on these soaps like crazy. I quite often find them lurking on the shelves in TKMaxx, and can't help but throw them into my basket. I'm pretty certain I have all of the fragrances aside from the Green Tea one, which is a real shame - because I smelt it the other day, and it's my favourite by far! (Update: oops.. just bought it today!) I've also found a little shop in my hometown which stocks them, so no doubt my collection will be growing even bigger soon.. they do last a long time though, so I'm seeing them as a good investment! Recently, as a recommendation from my boyfriend, I've started using the bar versions in the shower instead of my usual shower gels (which are filled with SLSs and perfumes) and my skin honestly does feel so much better, which comes as a surprise as usually it would be feeling a little dry with all of this hot weather we've been having. My top fragrance for shower use would be the Citrus Orange, as it helps to wake me up and feel refreshed. We also have the Dr Bronner's Lavender Shikaiki Hand Soap (with pump) in our bathroom currently, and my hands - usually very dry-feeling after using soaps - are so soft and nourished, and once again - smell so good. They're available on eBay, ASOS, Amazon, and a million other places online, and at TKMaxx and many independent shops and health shops such as Whole Foods and even Holland and Barrett. Will you be giving them a try? 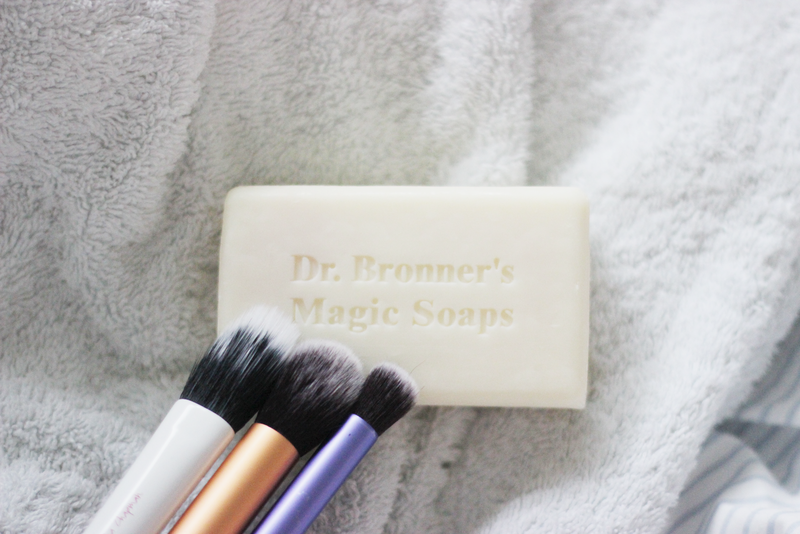 These magic soaps sound wonderful, so I think I'll be picking one up soon! I've tried switching to more organic beauty products as I feel my skin (particularly my face) doesn't cope well under harsh chemicals and fragrances. I also don't like using baby shampoo on my makeup brushes, instead I use my facial wash.
Until recently I had been so desperate to try these soaps, I now finally have one so I'm looking forward to seeing how good they are. We do have Dr. Bronner's here in Canada, dear Amy...but not a huge range of fragrances, unfortunately. I would really love to try the green tea scented one!! That soap sounds wonderful, I love that it's all natural! I've wanted to try the Dr. Bronner soap for so long now. This post has only made me more determined to order it! I have never tried these before but they sound amazing! Really want to give them a go!